"The course" for those who need to satisfy their ice-fix during the summer months. The focus of this course is to hone up those rusty skills or to aquire skills before the winter ice season. 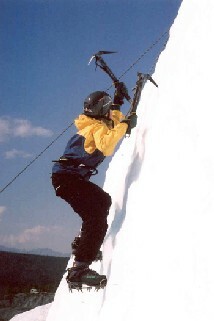 Covered is proper climbing technique, using ice screws, basic anchor systems and roped climbing. The goal is to build your skills and confidence to allow you to safely follow an experienced leader. 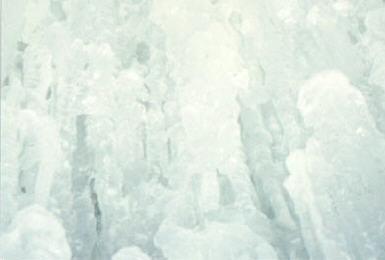 Takes place on one of the many local glaciers. Our day will start with an early meeting at a specified time and place. After a mandatory equipment check and safety briefing, we will drive 90 minutes to the days climbing area. Discuss the unique hazards of our climbing area and rack up. The approach onto the glacier and climbing area is around 30 minutes. Start with the fundamentals of climbing then focus the majority of the time on proper technique and finish our day up with basic anchors practice. Also offered is a fun day hiking on thousand year old glacier ice, no climbing involved. The itinerary is similar to the climbing course.